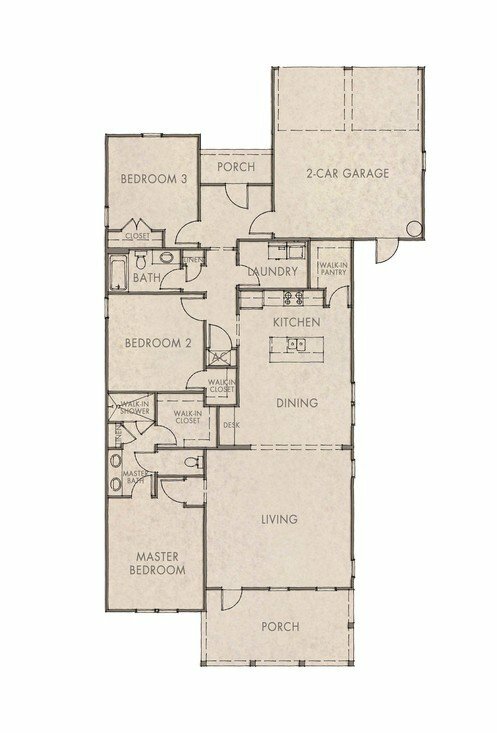 Boasting an open floor plan, the Anise is perfect for smaller households that like to entertain. The open kitchen has an island, allowing the perfect spot from which to serve food and drinks. A generously sized front porch adjacent to the living room allows for additional entertaining space. The master bathroom features a spacious walk-in shower, his and hers vanities and a large walk-in closet.